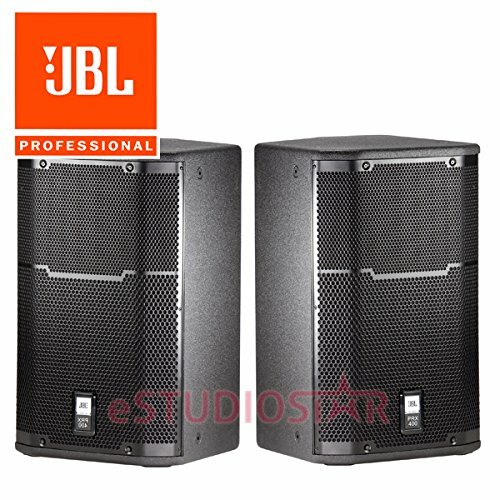 These JBL PRX412M's are portable, twelve-inch, two-way speakers designed for either main sound reinforcement or monitoring applications. JBL PRX400 passive speakers were designed to provide the sensitivity, frequency response and power handling needed to address a multitude of demanding audio environments while still being reasonably priced. For musicians, DJs, Houses of Worship, public address, or suspended in a commercial environment like a school or nightclub, they can be used with a powered mixer or a full rack of amps and signal processing, delivering the sound power and bandwidth necessary to make loud music sound natural and even quiet speech intelligible. Heavy Duty 16-gauge protective screen-backed steel grille. 1-inch polymer diaphragm compression driver. 90 x 50 degree coverage for even and smooth response on and off axis.